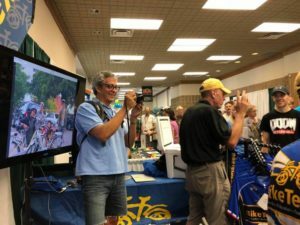 For nearly three decades, BikeTexas staff have made the six-hour trip from our home base in Austin to Wichita Falls to attend one of the oldest and largest cycling events in the country: the Hotter’N Hell 100. Now in its 37th year, the event draws riders from across the country and around the world. 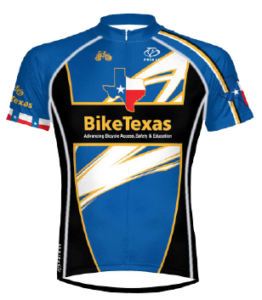 And for nearly as long as we’ve been going there, HH100 has been a BikeTexas Event Member, making a generous donation to bike advocacy efforts in Texas. I attended my very first Hotter’N Hell Hundred this year, representing BikeTexas. I was in good company: in addition to BikeTexas staff, we were joined by Robin and Zach, our wonderful volunteers from Cycle Clear Lake. Zach is an urban planner and Robin is a space radiologist for the Johnson Space Center, so we had a wide range of conversations over the course of four days. I have passed through Wichita Falls a few times, but this was my first time to stay there. I was blown away at how great the experience was. Everyone was so friendly and excited to see the cyclists take over their town. The Consumer Show was a blast to shop and see all the HH100 deals and merchandise. Hotter’N Hell Hundred is one of the oldest and largest rides in the nation, which attracts over 11,000 cyclists from all over Texas and beyond, so our four days were full of seeing old friends and meeting new ones. It was uplifting for me to realize just how much BikeTexas has accomplished as we explained to folks all that BikeTexas does. It was also very evident the commitment that the attendees have, both to HH100 and to BikeTexas. The name of this event is no joke, it gets HOT, but the support is no joke, either. 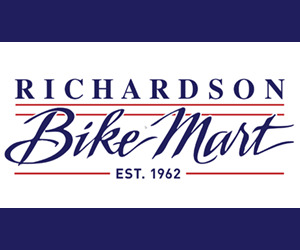 They really emphasize how important it is to prep your bike, body, and mind to get the most out of your ride experience. The support included SAG wagons and rest stops with doctors and nurses. The last rest stop is on the Sheppard Air Force Base, where family volunteers hand out homemade cookies, vintage aircraft are on display, Air Force pilots in full dress proudly take selfies with the riders, and lines of Air Force personnel on both sides of the street cheer with encouragement as all the riders set off to finish the last leg of the ride. HH100 includes activities for everyone, from the 12 and under Rug Rat mountain bikers, to the teenage Junior class Mountain Bike Trail Races. to the Fixie Criterium, all the way up to the world-famous 100-miler, proudly referred to as HOTTER’N HELL HUNDRED! After such a great weekend, you’ll definitely see me again next year for HH100 2019 (August 22-25), so make plans now to head to Wichita Falls, conquer one of the rides, and come by the BikeTexas booth and say Hotter’n Hello!